ARAB travellers are increasingly using the Internet to make car rental bookings, say industry insiders. “Over the next five years we will see a total swing to online bookings, by perhaps to much as 35 to 40 per cent of total bookings,” said John Andrews, director, associations, GSA and Middle East, Hertz Europe. Currently, online bookings only make up about eight per cent of total business. 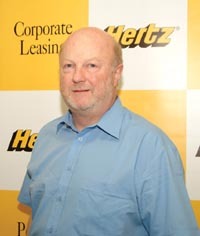 Hertz believes it is uniquely poised to take advantage of that trend with a newly-relaunched website that gives the user an instant quote with a minimum of clickthroughs. The ability to convert that instant quote into an immediate booking is perfect for the Arab customer, said Andrews. To cater to local clients, Hertz now features online bookings quoted in dollars and payable in local currency. And to cater to that demand, the company constantly upgrades its fleet. The average age of its fleet in the UAE is four months, in Europe five months. And to promote Internet usage, the company is working with a greater number of Internet travel providers, such as Expedia, Apollo and Travellocity. “A lot of users go to these major providers, and it makes sense to tie up,” said Andrews.